Whether you are looking for financing, have a client looking for financing, are a lender looking for deals, or are just someone wanting to learn more about how commercial financing works, we welcome your calls and emails. At CLX we have no problem sharing our knowledge to help you succeed. Please call us today and let us know what we can do to help you. 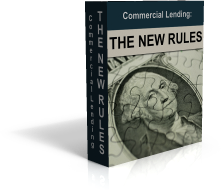 We are professional Commercial Financing Consultants, here to help however we can. 900 Diehl Rd #181 Naperville, IL 60563 EE. UU.